A couple of days ago I purchased Dorie Greenspan’s book, Baking From My Home to Yours. I’m so ridiculously excited about this book, it’s absurd. There are a million things I want to try, but I started with this. I love the name of it, Swedish Visiting Cake, I’m a sucker for good names. I had pretty high expectations starting out, and I wasn’t disappointed. This cake is really delicious, it comes out super moist, damp even, with a great crust, it has that amazing rustic feel I love in cakes. It would be amazing in the morning with a cup of tea or coffee. 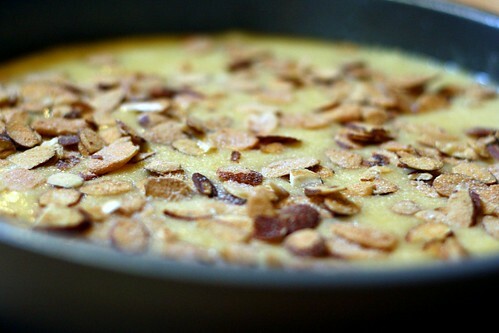 I used honey toasted almonds on top, they added a really nice flavor. This cake calls for both vanilla and almond extract, or either. I used only vanilla. I think the almond extract may have overpowered the great lemon taste a little. I didn’t have a cast iron skillet big enough to bake this in, so I just used a normal cake pan. I can’t wait to make this again. Mine didn’t come out nearly as pretty as the picture in the book, by as my dad always says, sometimes the ugliest foods are the most delicious. Center a rack in oven and preheat to 350 degrees. Butter a seasoned 9-inch cast-iron skillet or other heavy oven-proof skillet, a 9-inch round cake pan or even a pie pan. I used a my favorite pan in the whole world — a 9-inch oven proof, heavy skillet. Pour sugar into a medium bowl. 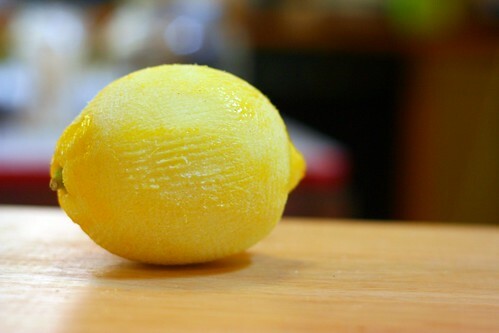 Add lemon zest and blend zest into sugar with your fingers until sugar is moist and aromatic. Whisk in eggs, one at a time, until well blended. Whisk in salt and vanilla and almond extracts. Switch to a rubber spatula and stir in flour. Finally, fold in melted butter. Scrape batter into prepared skillet or pan and smooth top with rubber spatula. 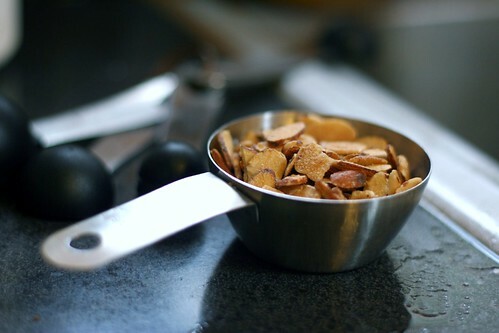 Scatter sliced almonds over top and sprinkle with sugar. 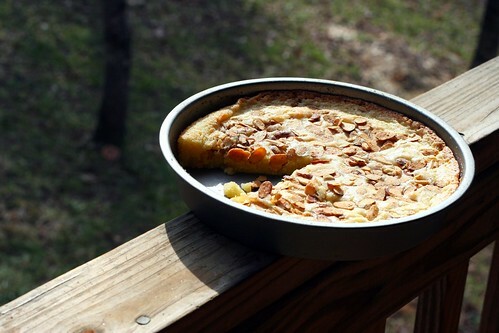 If using a cake or pie pan, place pan on baking sheet. Bake for 25 to 30 minutes, or until golden and a little crisp on outside; the inside will remain moist. I also have that baking book. I've made a few things out of it and have had mixed feelings about the end result. Some have been really good or really disappointing. But who am I to judge....that is not my job. I love your photos. I may have to make the cake myself. And your Pa is so right on. I don't know, I think that cake is darn pretty! Your cake looks so good. I'm a sucker for names like that too! Wow, that's one good-looking cake! I would like to make it, too. I'd love to hear what you have to say about other recipes in the book as you get to them. Hmm, on second thought, I think I'm going to make it right now. I have most of the ingredients; close enough, right? Plus I have a new dishwasher to break in. jillian - i've read a lot of good things and a few bad things about this book, but it seems the good outweighs the bad. i hope! haha. heather - it is kind of pretty in a totally rustic kind of way, huh? cupcake - I wish I had gotten it cheap! I paid about 35 bucks for it. mrs. mordecai - I hope you like it! I'll be sure to post more recipes from the book soon. I agree, when I first got that book, I had no idea where to start so I started off with the cover cake! The swedish cake looks really good. 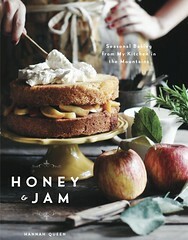 the book is great...i refer to it all the time and often adapt recipes from it. the brioche recipe is a-mazing! ...and the cake, i have yet to make it, but your is convincing me that i should. I love lemon and almonds! And who doesn't love cake, especially rustic homey cake? ...I really need to get this book now. Great pictures! Oh gosh I forgot about this cake. I made it (gluten-free) a while back, but had to stop making it because I would eat too much (the whole thing) and thus a whole stick of butter. Yum. Looks great to me. Her photo couldn't have been all that 'cause I don't even remember it. Anyway thanks for sharing your cake, I'm gonna print this out and add it to my out of control pile of must try/make/cook/bake recipes!! That may be the most comforting cake I've ever seen! I hope someone visits me with it! You'll love this book, it's awesome!! How inspiring! Lucky coincidence that I have all the ingredients on hand to whip this up this morning. I've only made Madeleines from her book and they are fantastic. The Tuesdays with Dorie site is filled up with bakers so I'll follow your lead and get in line behind you here! There a thing unattractive about that cake! Yum! This was really good! Thanks so much for sharing the recipe. I'm adding it to my permanent collection. I also love the name of this cake. It sounds so homey! Your photography is lovely; something about that cake photo makes me feel the beginnings of spring. It looks like a cake my Swedish grandma used to make. And your food is anything but ugly! I want to bake this based purely on the name! Plus I'm a sucker for almonds. Hello! Hannah - have you seen the blog Tuesdays with Dorie? 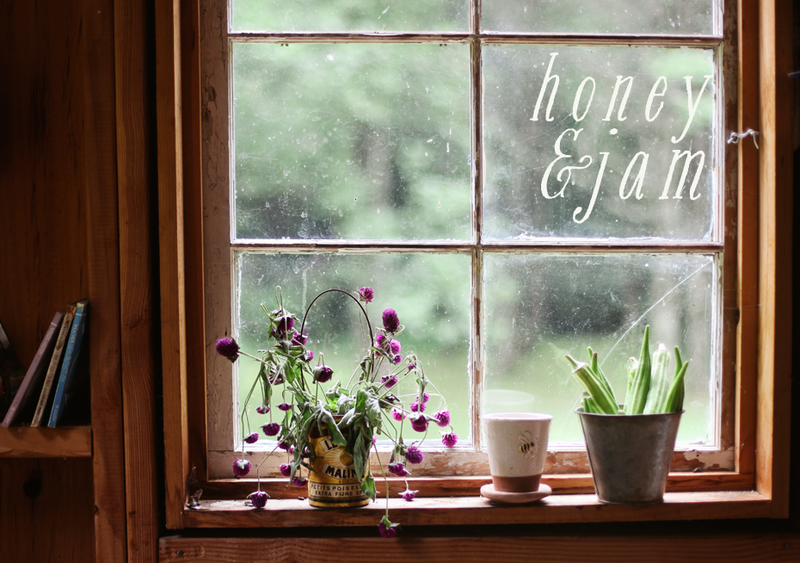 It's a blog for a group of food bloggers who make a different recipe from the book every week. I've gotten some great ideas for modifications and adjustments to the recipes ... plus it's encouraged me to make some things that I wouldn't have otherwise given a second look. This is a favorite cake in our house! Apparently there are also some variations, but we like it just the way it is! We use coarse turbinado sugar on top - yum! delicious cake!! i had it at a friend's house, and i went home and immediately baked one for myself and my family, who are complete almond and lemon lovers.